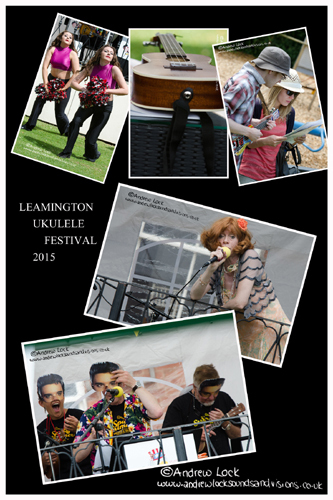 This was the first year I have made it to Leamington Spa's very own Ukulele Festival which is held at The Newbold Comyn Arms. The turnout was very impressive the sun was out and the atmosphere was friendly, plenty of entertainment from the stage with various ukulele solo artists, duos and larger groups and the whole thing was kicked off (literally!) by an impressive cheerleading group. The Spa Strummers who were instrumental in getting this annual festival up and running of course played a major part and during the day several busking sessions were introduced to get the ukulele loving crowd involved. The date was American Independence day and this year the theme was American so plenty of Elvis and Hawaiian music on the bill. Great also to see the company I work for Presto Classical involved in what looks like a fantastic local music event and hopefully I will pop along another year. Hopefully a few photos on web site shortly.